I had a great first day at North Durham Academy yesterday. I’m Patron of Reading there for the next year and was looking forward to meeting the pupils who I’ll be working with. As well as an assembly talk and a library meet & greet I did a creative writing session for the Gifted & Talented English students, followed by an introduction to animation for the G&T Art students. There was a lot of creativity flying about in the sessions and I’m hopeful we can build on it in future visits to the school. I was born in the Lunar Age. By the time I’d made my appearance on the planet we’d already walked on the moon twice. (It would have been three times if not for the near-death accident that aborted Apollo 13’s moon shot.) Even though I was only two years old when the last man walked on the moon my childhood was dominated by imagery of space exploration. This was the silver days of the 1970s, when future moon bases and our expansion to the stars seemed plausible within my lifetime. 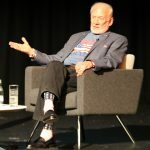 Against a backdrop of Star Wars, Blake’s 7, Space 1999 and the developing Space Shuttle programme, I daydreamed about being an astronaut, of setting foot on the moon and beyond. As I left childhood behind it seemed as if those ambitions fell away as well. We lowered our horizons. We stopped dreaming of a life in space. Only in the last few years does it feel like some of that urgency to move beyond the earth has returned to our collective culture. Maybe it’s not too late for it to happen in my lifetime after all. Looking back, the Apollo missions feel almost dreamlike now, an era of can-do that squatted in the wrong century. 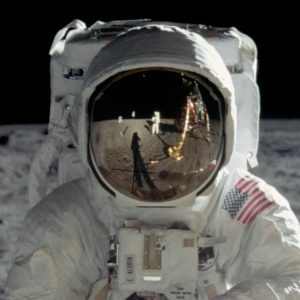 There were just 12 men who walked on the moon, seven of them are still alive. 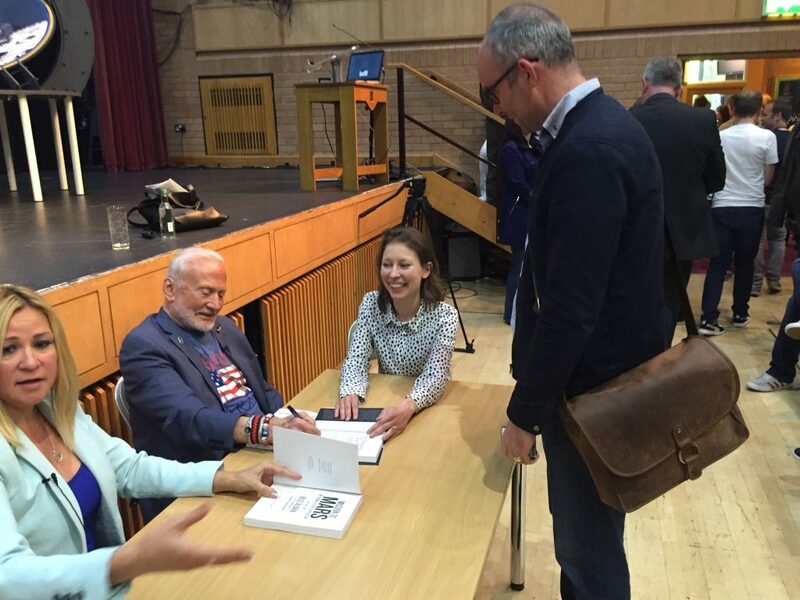 So when the opportunity to see Buzz Aldrin came up I jumped at the chance. 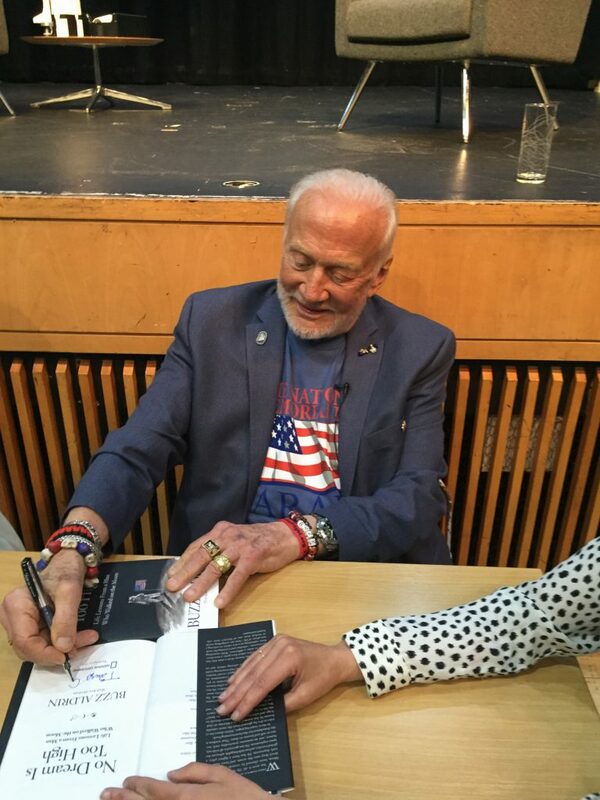 I saw it mentioned on Twitter; he was doing a talk at a school in Blackburn, one of just a handful of UK dates to promote his new book, No Dream is Too High. I didn’t expect to get a ticket, but I was pleasantly surprised to discover that they hadn’t yet sold out. 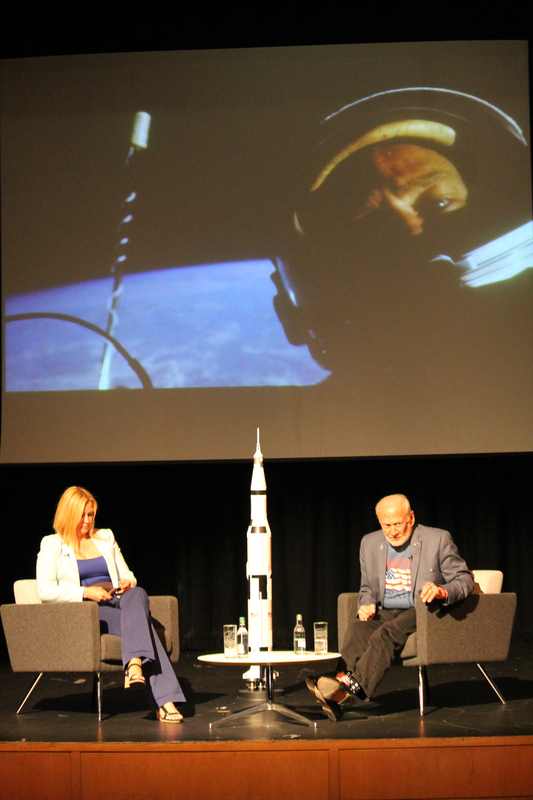 So last week I drove the hundred plus miles to Blackburn to watch the second man on the moon chat about his life and career. 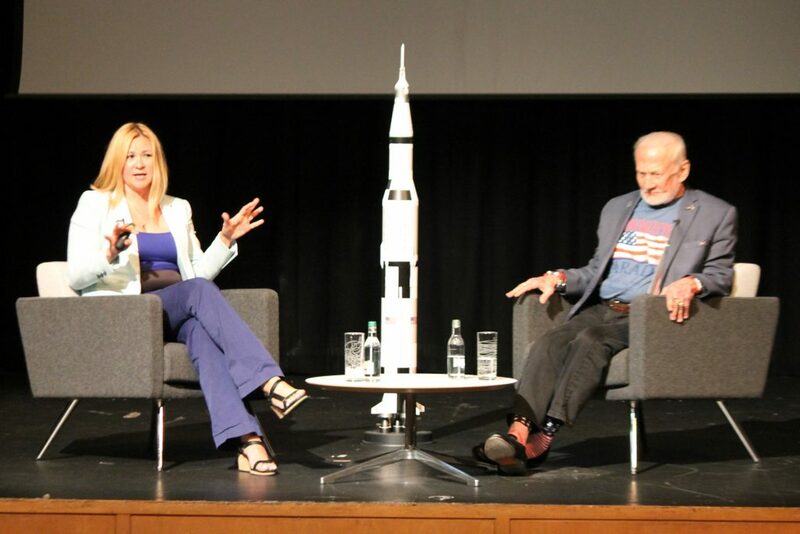 Buzz is 86 year’s old, but in remarkable form. He was interviewed by his manager, Christina Korp, who prompted him from time to time to recount particular anecdotes. 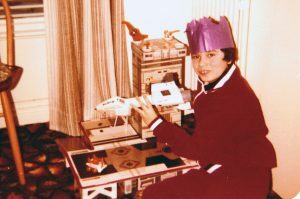 It was obviously a familiar routine and Christina kept Buzz on course when he threatened to veer into the technicalities of orbital manoeuvres, or the feasibility of a Mars cycler. Their interactions had a warmth and a comedic familiarity not unlike that of a mischievous father and his irritated daughter. Afterwards I waited in line to get my book signed. 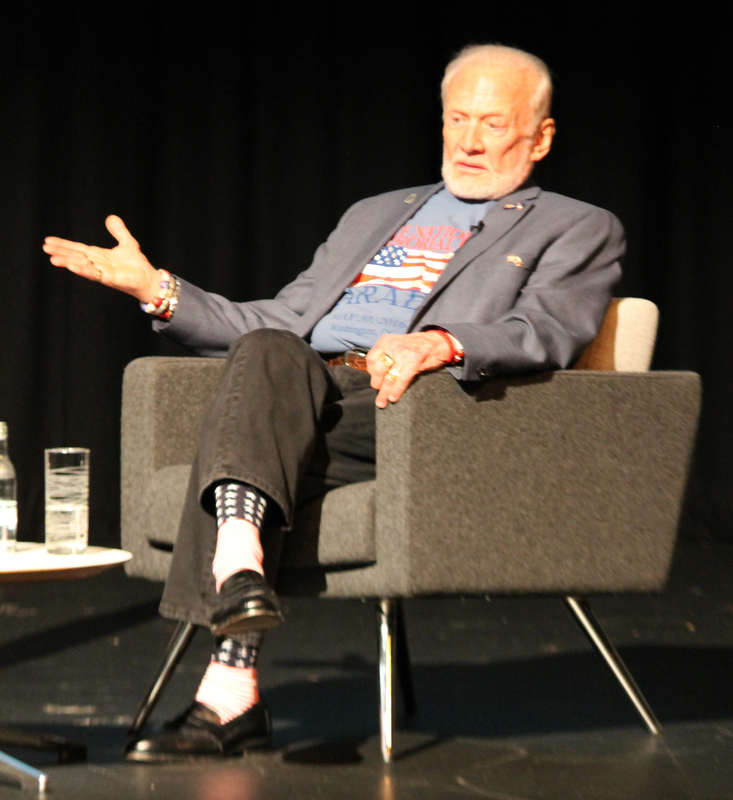 We chatted briefly about the event and his book tour, shook hands, and then it was all over. 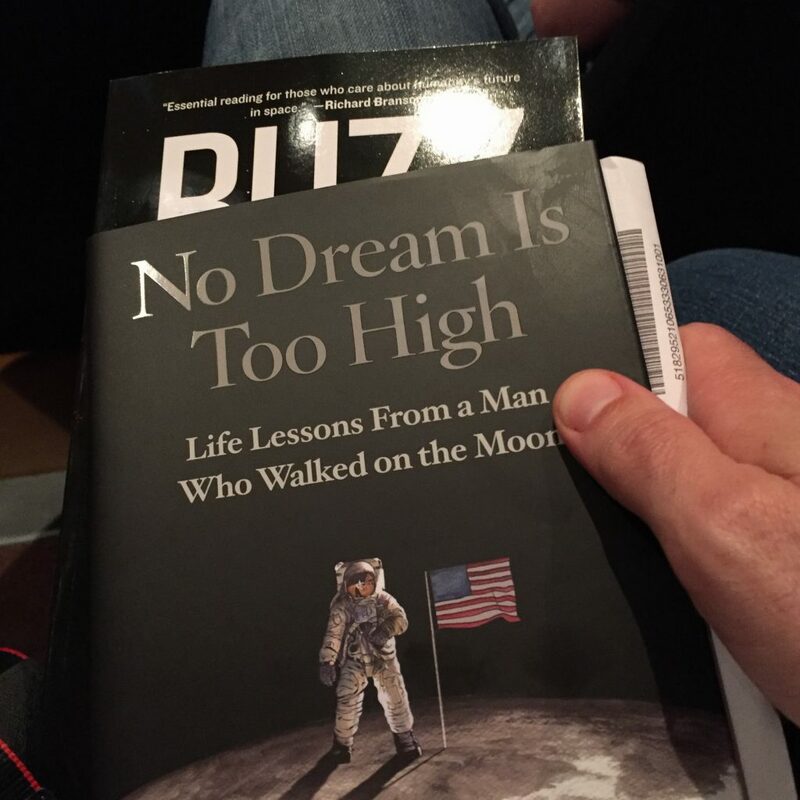 I’d met my first moon-walker. I don’t know if I’ll ever meet another, or if I’ll ever join their number one day, but for a few hours I had those childhood feelings of unbridled optimism once more.